It was hazy and busy Sunday morning, traffic was quite chaotic than usual as there we a few runs going that day in Klang Valley such as Nutrilite Colour Fun Run 2014, Standard Charted KL Marathon 2014, Run for Better World 2014 and maybe some that I am not aware of too. Well, I was with my friend at the Run For a Better World 2014 at Taman Jaya Park, Petaling Jaya. I’m back on track and getting more active in sports, I wish to have a fitter body and better healthy. There is nothing better that 30 minutes exercise at least twice or three times a week. 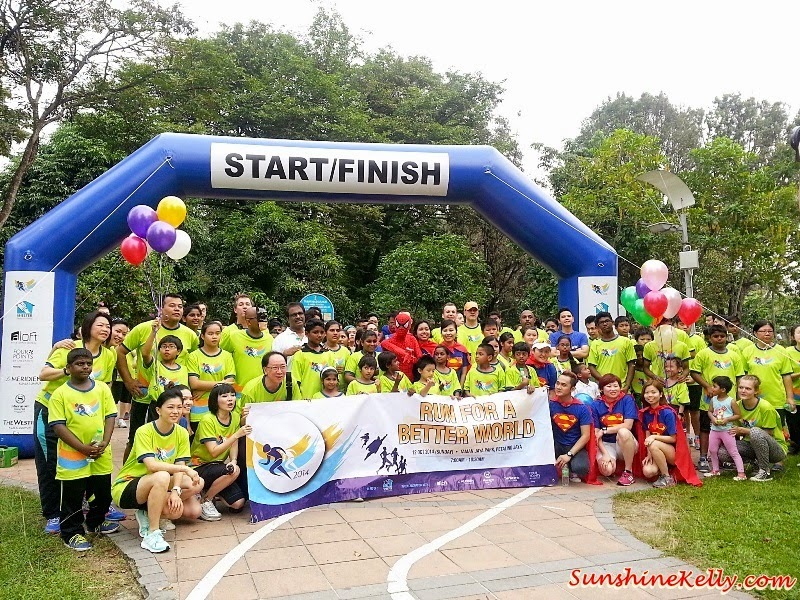 Run for a Better World is a Charity Run hosted by five hotels (Aloft Kuala Lumpur Sentral, Four Points by Sheraton Puchong, Le Méridien Kuala Lumpur, Sheraton Imperial Kuala Lumpur and The Westin Kuala Lumpur) in aid of the Shelter Home For Children. 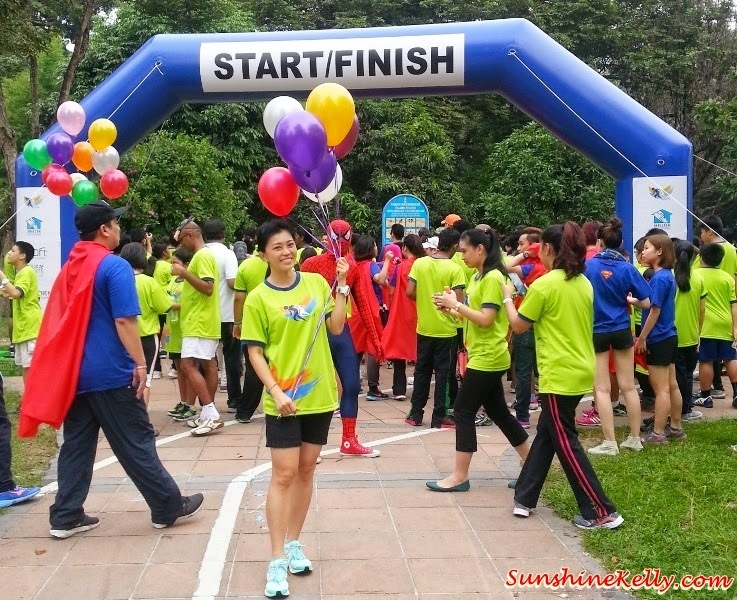 As you can see some of the runners were in their superhero costumes and tees because this year the theme was “Superhero” themed run. The appointed charity home houses a total number of 46 children (age ranging from 4 to 18 years old) under the kind care of Mr Cheok Hoong Poh, the General Manager of the Shelter Home For Children with the help from voluntary staffs.